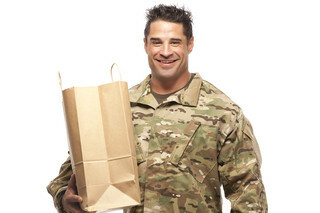 Saving money at the exchange and commissary on MacDill Air Force Base in Tampa, Florida, is easy and fun at MyMilitarySavings.com. We understand that military life can be hectic, making it difficult to scour the internet for the latest bargains and coupons, which is why we have created an online hub for savings of all kinds just for men and women in the armed forces, retired military personnel, and their families. We even provide convenient links to the Defense Commissary Agency (DeCA) website, as well as those of the Army and Air Force Exchange Service (AAFES) and all other military exchanges, in order to make accessing exclusive coupons and deals even easier for you. We will also email you newsletters with links to the latest Price Connexion and Coupon Connexion flyers, so that you can plan your trip to the commissary or exchange based on the discounts inside before you leave your home. There’s even a unique shopping list tool that will allow you to pick out everything you need at the exchange and commissary, and then either print your list out or take it with you on your smartphone. For more information on the bargains you can access through our site for the MacDill Air Force Base commissary and exchange in Tampa, FL, join MyMilitarySavings.com today.